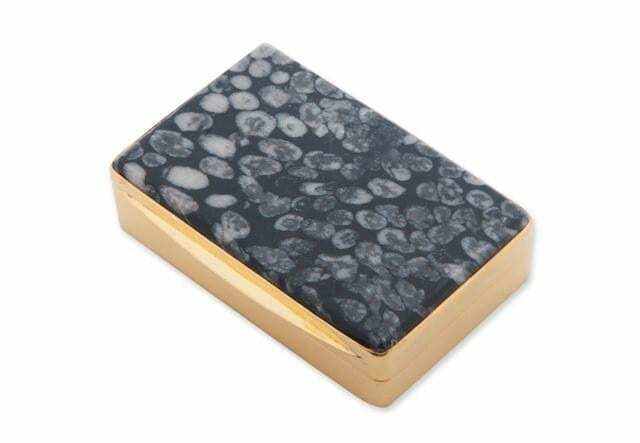 GOLD PLATED SOLID STERLING SILVER SNUFFBOX UNIQUE WITH INTERESTING FOSSIL SEA URCHIN STONE. 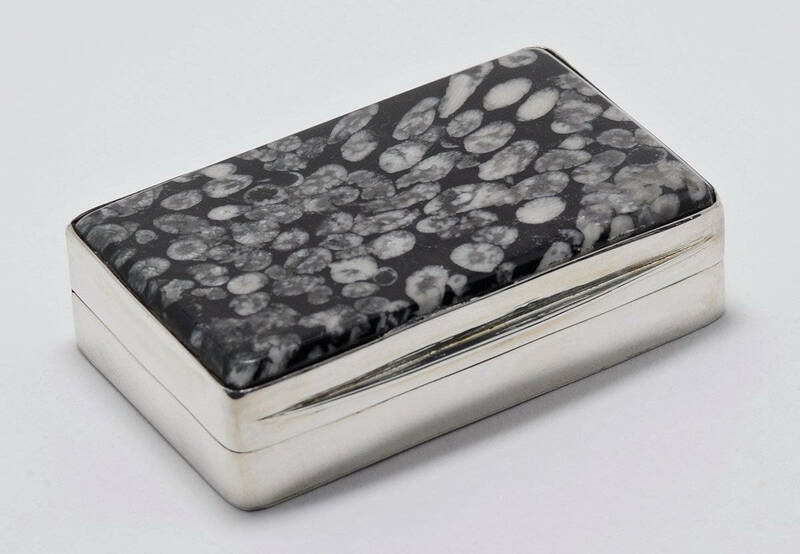 THIS SOLID STERLING SILVER SNUFFBOX HAS A LID MADE FROM HIGH QUALITY AND INTERESTING FOSSIL SEA URCHINS. DURING THE EUROPEAN 18TH AND 19TH CENTURY. WHEN MANY TONS OF SNUFF WERE BEING SNUFFED (IT WAS STILL ABOUT 4 TONNES A YEAR IN THE U.K IN THE 1960S! (MOSTLY MEDICINAL) SNUFFBOXES WERE CARRIED BY JUST ABOUT EVERY ADULT MALE AND IN THE 19TH BY VERY MANY LADIES AS WELL. 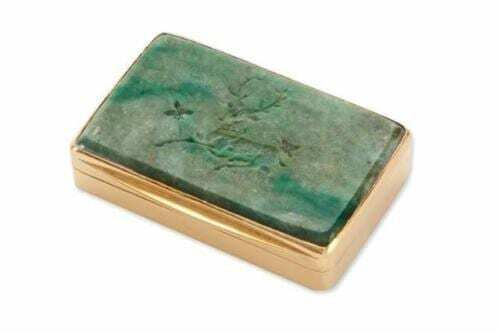 MANY SNUFF BOXES WERE GIVEN AWAY AS GIFTS, IT WAS QUITE COMMON FOR A MAN OF FASHION TO HAVE 12 OR MORE BOXES! THERE WERE ACTUALLY SCHOOLS IN LONDON IN THE EARLY 19TH, WHERE ONE COULD BE TAUGHT THE LATEST AND MOST FASHIONABLE WAYS OF TAKING SNUFF. 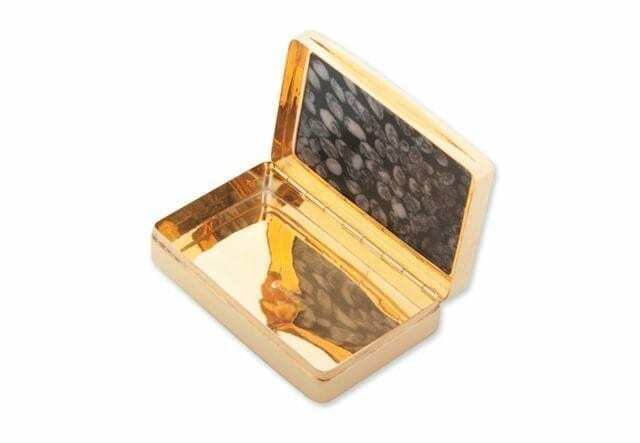 A FINE OBJECT BRAND NEW, DELIVERED TO YOU IN A BESPOKE BLACK AND GOLD PRESENTATION BOX. 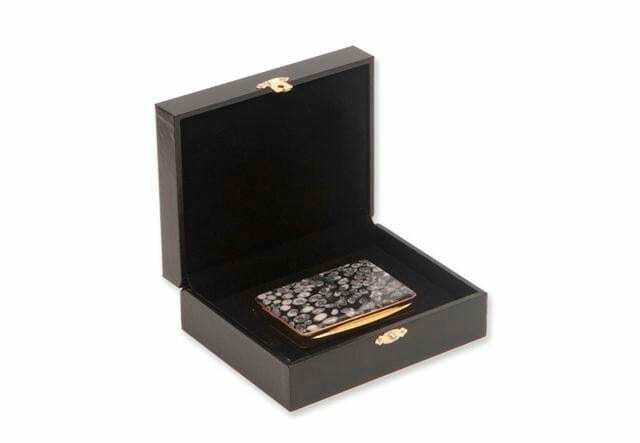 A SUPERB INVESTMENT FOR YOURSELF OR AS A STUNNING GIFT TO SOMEONE WHO WILL TREASURE IT FOR EVER. 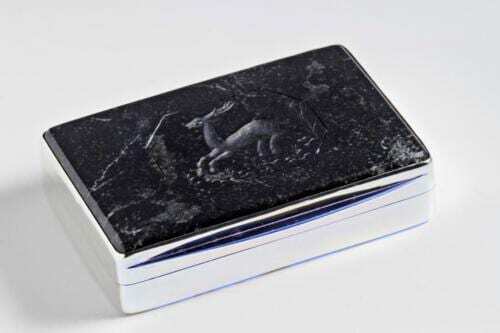 CARRY ON THE TRADITION OF SNUFFBOX GIFTING!!! YOU WILL BE IN GOOD COMPANY! 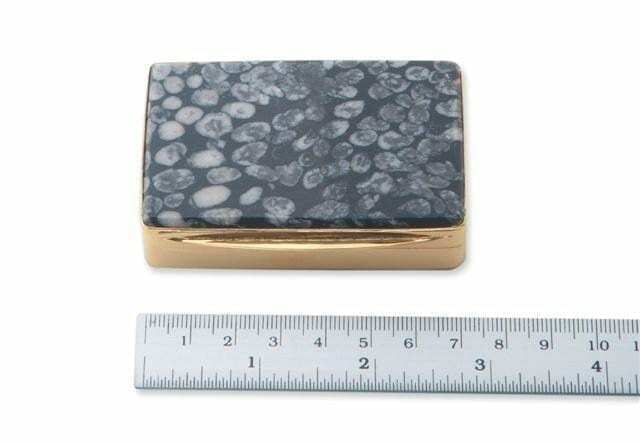 THIS REGNAS SNUFFBOX MEASURES 70 X 45 X 15 MM TOTAL HEIGHT.—–IT WEIGHS IN AT 85.6GMS. 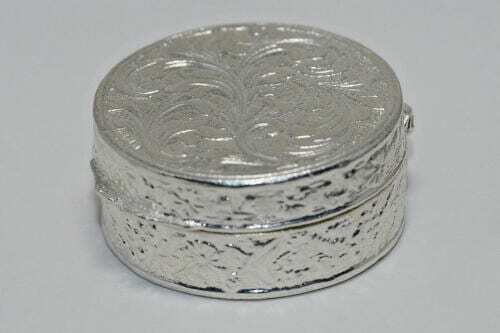 WE EMPLOY EXPERIENCED SILVER SMITHS TO MAKE THE SNUFFBOXES COPIED FROM A SNUFFBOX I BOUGHT MANY YEARS AGO IN FACT IN ALBI, FRANCE. PROBABLY LEFT BEHIND THEIR BY ONE OF WELLINGTONS VICTORIOUS OFFICERS IN 1814. WE ARE OFFERING GREAT VALUE HERE. THE PRICE ASKED IS CLOSE TO COST PRICE. PLEASE CHECK OUT OUR FEEDBACK AND JUDGE THE SINCERITY OF OUR WORLDWIDE CUSTOMERS. 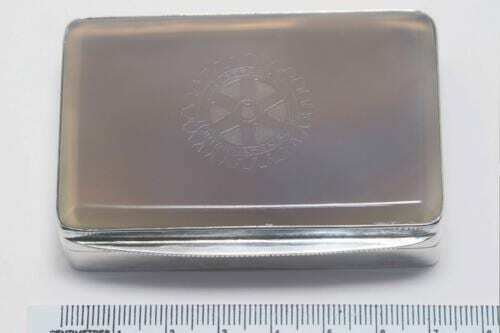 THE SNUFF BOX HAS BEEN HALLMARKED STERLING SILVER IN THE LONDON ASSAY OFFICE. FREE WORLDWIDE DELIVERY INCLUDES A SMART PRESENTATION CASE, FULL INSURANCE AND OUR 30 DAY REPLACE OR REFUND WARRANTY.